The “about” page is the most undervalued page on your website. It’s so often neglected, but is vital to closing more deals. This is especially true for coaches and speakers, but also applies to things where you’re selling widgets. People buy from those they know, like and trust. Someone Googles a problem they are experiencing. Your blog shows up as a result on Google, and they visit your blog. If they like your blog post, they visit your homepage to see if you can help them further. They may visit your services page too. At that point, they go to your About page. People on your About page are in the evaluation phase of the purchase – and it’s important for your about page to give them the information and emotion they need to move forward. I suggest to my clients that their about page should make people love or hate them. If your story resonates with a potential client, your long term relationship is bound to be more productive. If they hire you based solely on your low cost, they are more likely to be a problem client. The About Me video should be inspirational and get to your “personal why” or your philosophy. What motivates you to do what you do? The best videos tell a story. Who are you? What was the problem you encountered (the problem that you now solve for clients)? How did you get over it? How do you guide others to do the same now? The video is your story, but your audience needs to be able to step into your shoes or feel like it’s about them. 1-3 minutes is a good length. Enough time for people to get to know you and your personal why, but not too long to bore them. 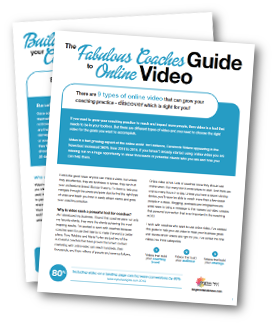 Your About Page video can be professional or DIY – depending on your business, brand and clients. Want to see an example? Here’s my about page.